As early as now, even before the season officially begins on Black Friday, millions of Moms and Dads are already pondering on what to give as stocking fillers for boys and girls. Filling Christmas stockings with toys and goodies has always been a tradition that every kid looks forward to every single year. Not only is it exciting for kids but also fulfilling for parents as they see their kids’ eyes grow in wonder as they unfurl their Christmas stockings and reach for the treat inside. It’s truly a sight to behold. If you would like to get a head start on what you need to get as cool stocking fillers, then check out our list of the top 20 boys stocking filler ideas. If you want cool stocking fillers for your adventurous boy, then the 6-in-1 Field Tools should keep him feeling like Indiana Jones. With 6 different tools to help him in his exploration of your backyard or even in the neighborhood playground, you can bet that he will have a blast digging, brushing, probing, and grabbing things of interest to him. The set comes with a mini shovel, a telescoping magnet, a tool ring, a 4-inch field tongs, a brush, and an angling mirror. What We Like about It – This is one stocking fillers for boys that will surely be instrumental in reinforcing his imaginative potential. At the bare minimum, his imagination will direct him to greater heights. Laughter is undoubtedly the best medicine ever. It releases endorphins in the brain so you won’t feel pain and you’ll forget your problems even for a brief period of time. You can cultivate your child’s comedic skills with the Knock-Knock Jokes for Kids book. It’s a collection of the best knock-knock jokes ever which should be an excellent way to spice up kids’ parties as well as other forms of get-togethers. We found that some parents actually detest it, perhaps because they’ve grown tired of these jokes. But for young boys, this could be one of the most unique boys stocking filler ideas ever. What We Like about It – It’s a modern take on a timeless classic. These jokes may already be passé to most of us adults. But for kids, it sure is fun to watch them roll on their tummies laughing. Can you remember that colorful coil of spring most of us used to play when we were kids? Yes, the Slinky is still here and even at more than 70 years of being played with, sprung, and tricked, it never fails to draw oohs and aahs every time someone plays tricks with it. That’s why we knew we simply had to include this in our list of the top 20 stocking fillers for boys. It stretches like a soundless accordion. It also bounces and walks by itself down steps. Today’s boys will learn that the Slinky was originally designed as an anti-vibration device for a naval application and how even technologies designed for serious applications can be turned into one fun an comical toy that has endured 7 decades. What We Like about It – The Slinky is an American classic but with a worldwide appeal. It would be hard to dispute that. This is one of the best boys stocking filler ideas we have in our list. Why? Well, this contains 9 cars per pack which means you can easily distribute the different car models to 9 different kids and everyone will be happy on Christmas day. Alternatively, you can just give the whole set to one child and let him expand his collection of 1:64 scale Matchbox die-cast vehicles. What We Like about It – The die-cast vehicles of Matchbox is well-known for its quality and realism. This should be an excellent collection especially if your boy already has one or two sets. When man landed in the moon, everyone was fascinated with the way Armstrong seemed to hop in slow motion. Well, not everyone fully understood what gravity really meant or how the moon’s gravity will be different from that of earth. With the Zero Gravity Fridge Rover your kid will now be able to recreate the lunar landing in the moon without having to worry about gravity. The Fridge Rover is one of the best stocking fillers for boys as it features a magnet – a miniature representation of the earth’s gravity – and a wind-up mechanism rolled into one beautiful package. Your kid will just wind it up and stick it on your ref’s panel and watch the rover climb or even go sideways without falling to the ground. What We Like about It – The Fridge Rover is an excellent tool to teach kids about the principles of magnetism and gravity which is, essentially, similar to a large magnet. One of the unique boys stocking filler ideas we found is the LED Colorful Flashing Finger Lighting Gloves. It may only look like any other glove but its fingers come with LED attachments that light up in rainbow colors. The light patterns can be changed in 6 different modes giving your boy absolute control on what he wants to do with the glove. The different modes can be easily changed with a press of a button. This should be spectacular playing the piano or even riding the bike at night. What We Like about It – The gloves are made of soft cotton material so they are more comfortable to wear. And because it’s made of cotton, your boy’s fingers will be able to breathe. If your little boy is having problems making his paper airplane, much less letting it fly, then you need to get him the Fold N Fly Paper Airplanes Kit. The kit comes complete with 18 uniquely different paper airplane designs. It also comes with a variety of colorful stickers so your boy can build his own fleet of aircraft, maybe several fighter, recon, and bomber squadrons. Making the Fold N Fly is made even simple by the instructional pamphlet that comes with the pack. Flying them is a lot easier. What We Like about It – The stickers allow kids to be as creative as they can be in personalizing their paper airplanes. And since it comes with a fully illustrated instruction guide, even a preschooler can successful make and fly one of these babies. For a truly amazing and cool stocking fillers, you may want to give your preschool or school age boy the Kidizoom Smartwatch DX. The DX watch features 3 different fun learning activities including 5 educational games, and 3 action-packed challenges. It’s like a wearable technology designed specifically for kids complete with camera both for still pictures and videos. It also has a voice recorder and the ability to change your kid’s voice by applying a variety of sound effects. There’s the usual timer, stopwatch, alarm, calculator, and calendar functions all in a touch-sensitive screen. Your boy will also be able to change the clock face design with 50 styles to choose from. It may be splash-proof but it doesn’t mean that it should be used for swimming or even for taking a bath. What We Like about It – VTech has always been known as a kid technology giant and the DX is just another testament to their penchant for quality. What is really amazing about the DX is its feature-rich design. For a kiddie watch, you would expect only the basics, not something so advanced like the DX. The first time we saw the Hand Held Scalp Head Massager we were very surprised to see many positive reviews about this seemingly useless gadget. Just imagine a very small umbrella standing upside down and the umbrella cover itself removed so you only see the ribs. What your kid will do is to place the tips of the “ribs on his scalp, push the button, and let it give him a head massage. Come to think of it, it looks more like a wire whisk only the wires are untangled. Some parents commented that at first, they were also not optimistic about the gadget being a stocking fillers for boys. But once their kids have tried it, they knew they made the right decision and we’re pretty sure you would, too. What We Like about It – It has a very simple yet very effective design. Massaging the head can help improve cerebral circulation, help reduce stress, and provide a more relaxed mood. If your boy has an Apple iPhone, you may want to give him the iChargerlock. This is one of the most unique boys stocking filler ideas we have ever seen so far. It’s truly one of a kind. The iChargerlock easily slides over the wall charging block of the iPhone. This secures it onto the electrical outlet so there’s simply no more lost chargers or even chargers going missing-in-action. The USB cord can also be secured onto the charging block through the iChargerlock’s locking tab. With a very expensive iPhone charger block, it’s about time someone decided to do something about chargers getting mysteriously lost. What We Like about It – Its patented locking technology is remarkably efficient that we’ve seen some of these gadgets being installed in public places with public phone charging stations. Your boy won’t be complaining of his charger getting lost ever again. There are times when making a decision is simply so confounding that no matter how you analyze the facts, you’d still be as confused as ever. If it is confusing for you, what more for your kid? That’s why the Magic 8 Ball was designed as your personal crystal ball allowing you to take a sneak peek into the future. There have been a lot of knock-offs following in the footsteps of the classic original Magic 8 but nothing can come close to the accuracy of the 20 possible answers it provides. You and your kid can ask a question, turn it over, and read the answer. Easy! What We Like about It – If you’re looking for cool stocking fillers for your boy, this is the one to get. The fun it provides should be great for everyone not only for your kid. For a truly unique bathing or showering experience, give your boy the Elecstars Bluetoothe Shower Speaker. It is one boys stocking filler ideas that you simply don’t want to miss. It’s shockproof, dustproof, and IPX4 waterproof. This means your kid will turn his bathtime into concert time. And since it connects via Bluetooth, the Elecstars can be conveniently placed inside the bathroom while the music device is located in another room. Or, your device stays inside your home while you take the speaker by the poolside. It’s got a built-in microphone for hand-free capabilities. What We Like about It – The waterproofing technology involved in the Elecstars is superb. Its dustproof and shockproof capabilities also allow it to be brought anywhere your boy will be going and he will still have the best music listening experience. Does your little boy has a fascination for fossils? Does he dream of excavating some ruins of an ancient civilization somewhere in Africa or anywhere else in the world? If your answer is yes and you’re on the lookout for a truly unique boys stocking filler ideas, then you simply must include the Bug Dig Kit in your list of things to buy for Christmas. There are 3 real bugs to dig up all made of transparent acrylic. The scorpion, fortune beetle, and spiny spider are embedded on a clay block which kids will have to carefully dig up using the tools that are already included in the kit. Just like real paleontologists, your kid will be digging up the crystalline fossil for a closer examination. What We Like about It – The National Geographic Bug Dig Kit is an excellent tool for teaching kids about the basics of fossilization and paleontology. Who knows, they might one day become the discoverer of another ancient specie. Young boys have a fascination for action figures and things that fly. That’s why the Aeromax Toy Parachute is one cool stocking fillers idea. It’s made of high quality nylon material and a tangle-free no-strings mechanism so your young boy won’t have any issues sending the Toy Parachute gliding down from the blue skies. 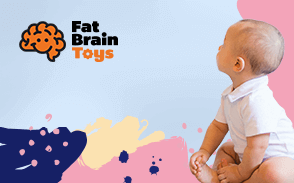 What We Like about It – It has a very durable design so boys can play with it until they grow up. Would You Rather Classic Card Game by Zobmondo!! One of the most popular boys stocking filler ideas today is the Would You Rather Classic Card Game. It contains 40 cards each with 4 different questions for a total of 160 mind-boggling questions. It’s the perfect companion for out-of-town trips, camping, or even parties. It’s as simple as reading the question and start the fun conversation. What We Like about It – The Would You Rather card game is perfect for encouraging kids to introspect as well as hone their communication and analytical skills. Many of the questions are common-sense but usually reflect one’s understanding of certain things. Almost everyone today has a mobile device that is, unfortunately, power hungry. With WiFi, GPS, live screensavers, and other power-hungry applications draining the battery of these devices a lot faster than you can finish your meal, it is necessary to have a backup power supply. One cool stocking fillers we encountered is the PowerCore+ Mini. It has a very compact yet very powerful design. It is as small as your average lipstick, recharges in just 3 to 4 hours, and delivers a fast charge to almost all of today’s devices. The PowerCore+ also features short circuit and surge protection so your boy will be safe handling it. It comes with an 18-month warranty and a stylish travel pouch. What We Like about It – With more than 10 million very satisfied users, it would be difficult to say we’re not impressed. The safety features are superb, too. Want stocking fillers for boys? How about the Universal Mount for their mobile devices? This is made of premium plastic, is lightweight, and adjusts in 5 different viewing angles either in landscape or portrait orientation. It’s sturdy and stable so your kid’s device is safe from slipping or sliding. What We Like about It – The 5 different viewing angles are very helpful. At least, your kid will be able to position his device in any way that he deems fit. Merrymaking is always equated with noisemaking. Give your kid something he can attach to his bike and make all the noise he desires while cruising around the neighborhood. One unique stocking fillers for boys is the Spokester Bicycle Noise Maker. It easily snaps onto the fork of the bike. If your kid wants it louder or softer, he just needs to adjust the angle of the Spokester. What We Like about It – It’s one excellent stocking stuffer. Giving it on Christmas day simply means your kid will be making full use of it a week later as everyone will be celebrating the New Year. The Phaint headphones are one cool stocking filler you might want to give to your music-loving boy. They come with an inline microphone so that your boy can seamlessly communicate hands-free. The Phaint feature neodymium-backed audio drivers that operate on 40mm. Their over-ear pads are made of soft cushion that cups the whole ear inside giving it a superb seal, effectively blocking out outside noise. What We Like about It – The Phaint are designed primarily for the music lover. That being said, they should provide a really wonderful music listening experience to your young boy. Need a really cool stocking fillers you can give this Christmas? How about the Katita Windup which is available in assorted colors? Your young boy will love winding the Katita and letting it dance on his table or even on the floor of his room. Let him watch his Katita dance to the groove with its colorful booty covering its plastic feet. Watch the Katita’s stainless steel legs as they attempt to initiate dance steps that your kid has never seen before. What We Like about It – It’s a real stress-buster. Just looking at the Katita dance on its long legs is enough to take your boy’s troubles away. When we decided to make a top 20 list of cool stocking fillers, we knew it would be fun. To be honest, it was very challenging simply because everyone in the team has a few hundred ideas to bring to the table. Pretty soon we were already inundated with a lot of cool Christmas gift suggestions befitting today’s young boys. So, we did our best to sort through all the products that were forwarded and determined which ones provided the most developmental benefit to young lads. We knew that these should not only be fun and cool, they should also be able to enhance the developmental skills of children of a certain age group. We also decided to put more emphasis on the positive things consumers have been saying about these stocking stuffers before we looked closer into the overall integrity of the product’s design especially its safety attributes. We clearly don’t want kids to be injured or harmed by any of these items or products especially on Christmas day. We then looked into the trustworthiness of the company that made these products. At least, if it’s a reputable company, we believe you have a much better guarantee for your purchase. We all know how important Christmas stockings are especially among children. In fact, it is one of the few things that children in the western world anxiously awaits year in and year out. And while nobody actually knows the exact origins of the use of the Christmas stockings, everyone knows what it’s for. This sock-shaped bag or even a decorated empty sock has been made almost synonymous with Santa Claus. It is the bag where Santa puts his gifts for children of the world. In other traditions, however, gifts can also be placed by Santa under the Christmas tree. Hence, these two symbols are seen by children to mean gifts from Santa Claus who visits them on Christmas Eve just to deliver these presents. Many of us adults don’t believe in Santa anymore. But, as kids, we are pretty sure you anxiously awaited for the Christmas morn to check under the Christmas tree or even inside your Christmas stocking what Santa left you the previous night. Whatever we received brought joy to us. Unfortunately, as we grow, we finally realize that it was actually Mom and Dad who were the Santas of our lives all along. Now, it’s our turn to be the Santa Claus to our children. And this is why the tradition goes on. For kids, having a Christmas present means all the world to them. It validates their belief that they have been good boys and girls for one whole year. Otherwise, why would Santa give them presents if they have been on his naughty list? This greatly helps in the development of their self-esteem as well as sense of self-worth. They know that they did good and receiving a gift from Santa validates this. They feel happy and content. This increases their motivation to keep on doing good because they now associate doing good because they know they will be rewarded for it. Call it positive reinforcement. And it works. Christmas is one of the most awaited occasions in the world especially among children. Because Christmas gifts are associated with what they have accomplished for the whole year, you will have to really think about what you want to stuff in their Christmas stockings. With our list of the top 20 stocking stuffers for boys, we hope you already have an idea of what to give.